A Valley mother has been arrested after police found audio recordings of her threatening to kill her abused infant. An Arizona mother has been arrested after police found audio recordings of her threatening to kill her abused infant. Mesa police report that on Wednesday morning, 18-year-old Leticia Stella Palos, was arrested in Casa Grande for child abuse. Investigators say on July 7, a 3-month-old boy was taken to Cardon’s Children Hospital for an injured right arm. Doctors discovered that his upper arm was broken. Doctors also allegedly found multiple bruises and fractures to three ribs in various states of healing. Police say the doctors determined that these injuries were "highly suspicious for non-accidental trauma." Detectives checked Palos' cell phone and reportedly found multiple recordings sent from her to the boy's father, where they heard the boy breathing "heavy and fast." In other recordings, they reportedly heard the child screaming. Palos was also heard in the recordings threatening to "throw the victim in the trash," and "that she is going to kill the victim." She also allegedly referenced drug use in the recordings. 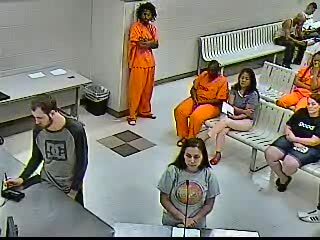 She is being held on a $50,000 bond for child abuse. If you suspect a child is being abused, the Arizona Department of Child Services has resources available to report the issue to a social worker. You can call the Arizona Child Abuse Hotline at 1-888-SOS-CHILD (1-888-767-2445), and will be asked for information about the child, as well as the nature of your concerns. You can also get more information from DCS about reporting abuse or neglect online.